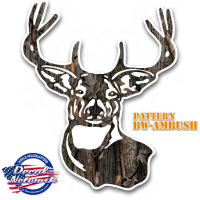 Decalnetwork has been selling and making CAMO vinyl decals since they were introduced to the outdoors world. 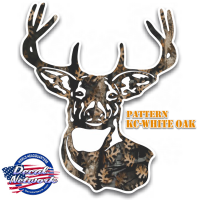 We amke and great selection of unique design like 4x4 decals, game animals, tracks and vehicle accents like bed bands, back window graphics, tailgate wraps and we also do custom camo lettering. If you don't see what you want, contact us.